It’s apparently a good week for reading Cinderella retellings. I only just started reading the steampunk-y Mechanica by Betsy Cornwell, but when I realized that it was Throwback Thursday, I turned to one of my long-time favorites: Ella Enchanted. My copy of Ella Enchanted is so old that, when I turned it over to read the back cover, I realized it didn’t have a bar code—instead, in the place of where one would be was a message that this particular copy was only available for sale during in-school Scholastic book fair events. So. The likelihood that I’ve owned it since it came out in 1997 is actually pretty likely. It’s pretty well-loved by this point, and it was just as wonderful as I remembered on reread. If you haven’t read it, beware of spoilers after the jump! 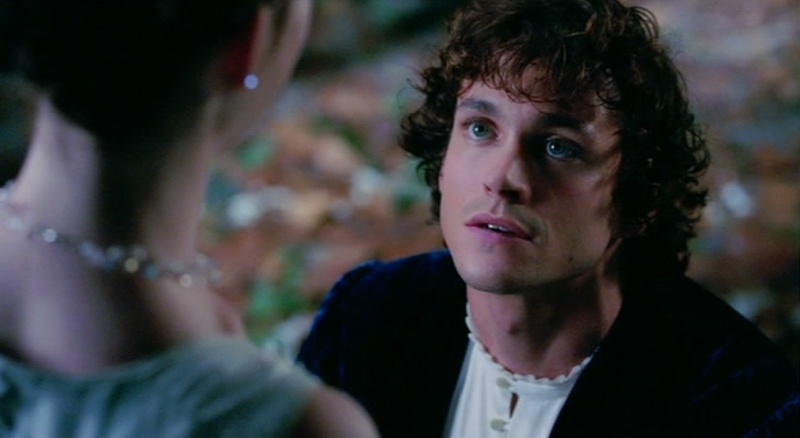 The premise of Ella Enchanted is this: when Ella was born, an overzealous fairy placed a spell on her that the fairy considered a great gift: that she would always be obedient. The unfortunate effect of this spell is that she literally must always obey any direct order she’s given, regardless of the danger to herself or others, whether she wants to do so, or even whether it’s meant seriously. If an ogre says “stand there so I can eat you”, she has to stay still; when her father absentmindedly says “go off and bang into someone else” when she runs into him, she has to go find someone else in the house and knock into them. She learned early on to keep this a secret, but she’s unlucky enough that sometimes people find out. Her one opportunity to rebel is in finding loopholes in the orders she’s given. The general plot follows the traditional Cinderella story somewhat faithfully, with a few diversions. Ella briefly attends finishing school at her father’s command, but runs away when she hears the fairy who cursed her might be nearby in hopes she’ll be able to get her to lift the curse. (He did only tell her to go to school, not to stay there.) When she returns home without success, she discovers that her father has gone bankrupt, and plans to marry the wealthy Dame Olga. Olga brings two repulsive stepsisters into the bargain, and when Ella’s father leaves to travel on merchant business, relegates Ella to scullery maid status. Over the course of the novel, Ella develops a close friendship with Prince Charmont, heir to the throne, but breaks off contact with him when she realizes she’s in love with him and he with her. She does so out of noble self-sacrifice—should she marry him, and someone discover her curse, the entire kingdom could come to grief—but both of them are heartbroken. Ella decides to attend the Prince’s three-night ball anyway, so that she can at least see him, but he is drawn to her when she arrives. The final conflict comes when Char, unaware of her curse, and Olga, who simply knows that Ella must follow her orders, respectively insist that she should and should not marry him. This is finally when the curse breaks, and Ella is able to, for the first time, tell someone no. I’ve read a lot of Cinderella stories in my lifetime, but this was one of the first remixes I remember reading, and its messages definitely had a lasting effect on me (and on how strictly I judge other adaptations). Obviously the most important message of the book is the importance of consent, and it demonstrates this by showing just how terrible it would be to live without the ability to say “no”. Tangentially, though, it also has an important message about making assumptions about others: the fairy Lucinda, who curses Ella in the first place, is the worst about guessing what magical gifts other people would want instead of asking, and it leads to a long line of people who’ve been cursed by “gifts” she believed they’d love. Finally, there’s also a good message about engaging with other cultures. Ella loves learning other languages and has a knack for doing so. She makes an effort whenever engaging with people from other countries or species to speak to them in their tongue and to honor their traditions, and easily befriends a lot of people this way. She also is able to save her own life because of this: when she’s captured by ogres, she’s able to use their own oily, charm-filled language to convince them not to eat her. 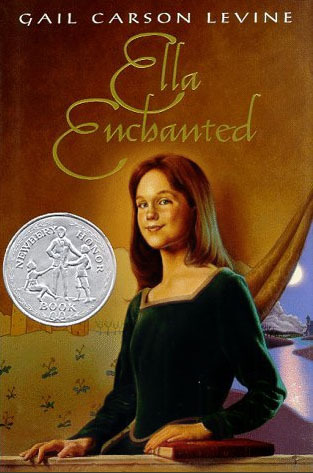 The only really bad thing about Ella Enchanted is that, like many of my other favorite properties such as the Avatar: The Last Airbender series, the Percy Jackson books, A Series of Unfortunate Events, and The Golden Compass, it never got a movie adaptation. If there had been a movie, a young, baby-faced Hugh Fancy would play Prince Char. He would have. If there had been a movie. Some kids’ stories don’t stand the test of time when I revisit them after many years, but it was a delight to reread this one. It’s an intelligent and compelling remix on the traditional Cinderella story that predates the fairy tale-remixing trend, and is definitely worth your time if you decide to pick it up. This entry was posted in Books, Fantasy, Throwback Thursdays and tagged Cinderella, consent, ella enchanted, fairy tales, gail carson levine, remixed fairy tales, throwback thursdays by Lady Saika. Bookmark the permalink.